Lens Description: Hartblei exclusive Shift- and Tilt-lens with integrated Tripod Collar & outstanding image quality. It was originally constructed for the 6 x 6 format, providing huge quality reserves for 35mm format. All Hartblei Shift- und Tilt-lenses are so called Superrotators, meaning that the Shift and Tilt functions can be used independently with 360 degrees rotation. 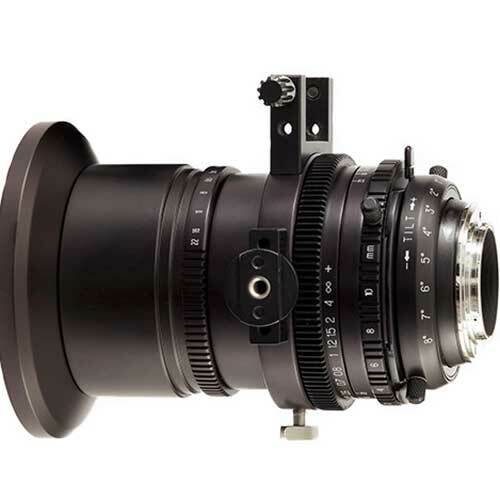 With this lens you can almost substitute a view camera.You may achieve up to 8 degrees of tilt and 10mm Shift. All have now internal brass mechanics and hardchromed mounts. The 40mm/IF uses inside focusing and automatic optimisation of correction for the whole area of focusing from infinity to the closeups limit. Even with wide open aperture, the optical resolution is exceptionally high. Detail structures up to 200 line pairs/Millimeter would be possible if suitable chips would exist. The perfect lens for the demanding studio and architecture Photographer.